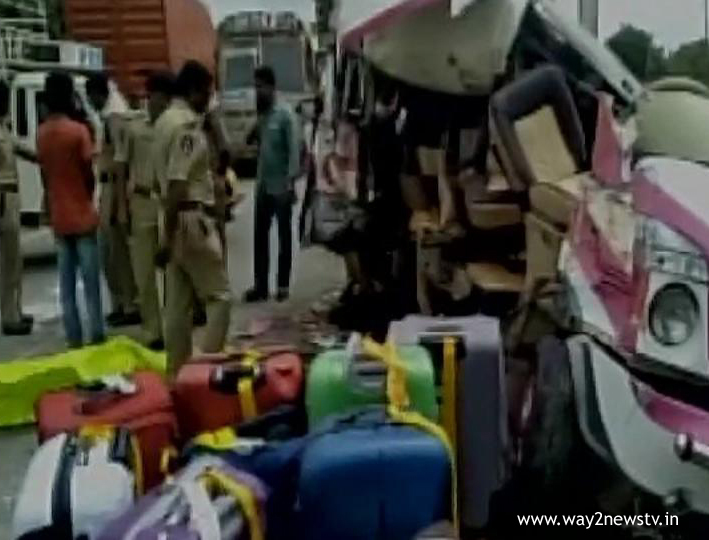 The road accident occurred in Chittoor district. The opposite car hit an RTC bus. Two people were killed in the incident. Three were seriously injured. The details of the event are as follows. A bus carrying a car from Tirumala to Chennai was hit by a car going from Chennai in the Chittoor district Narayanavanam Mandalam Tumblr. In addition to the driver in the car, the new bride died. Chennai residents of the car have come to visit the Tirumala srivari darshanam newlyweds Amuda Valli, Satish and their relatives. The car driver, Satish, also died. The couple, along with the groom Satish, has been shifted to Tirupati Ruia.